Mobile eCommerce (mCommerce) describes online sales transactions that use wireless electronic devices such as handheld computers, mobile phones or laptops. For the online merchandise purchases these wireless devices interact with computer networks. In other words it is a path of purchasing online items from online services and the eCommerce facilities available. Mobile devices such as dash-top mobile devices, personal digital assistants or smartphones etc use computer-mediated networks to enable transaction processes through electronic store searches and electronic point-of-sale capabilities. Known as next-generation eCommerce, mCommerce enables users to access the Internet without needing to find a place to plug in. Using Bluetooth technology, smart phones offer fax, e-mail, and phone capabilities all in one, paving the way for m-commerce to be accepted by an increasingly mobile workforce. Device vendors target younger generations who use mobile phones more than any other age group, prompting online vendors to collaborate with big names in the telecommunications industry to promote the advancement of eCommerce to m-commerce such that users can shop online from their phones. Most of these advances are accomplished through sophisticated application designs that are constantly emerging and evolving. One of the features of m-commerce sites is the adaptation of websites to make them easier to use with smaller screen sizes. There are a number of adaptations that can be made including the removal of large graphics and the optimization of fonts for easier viewing and ergonomics. The blossom of mCommerce can be attributable to the advent of smartphone technology that has enabled easy access to mobile content such as full-length music, videos, social network sites and the Internet. Consumers have also acquired a much bigger appetite for using their mobile phones as more than communications devices. The quality, reliability and simplicity of the user experience have been significantly enhanced by enabling services, which give the media, content owner or retailer the necessary visibility and control they need. The growth of mcommerce is majorly due to the popularity of mobile applications for smartphones. Mobile applications are changing how consumers use their mobile phones by providing users with new tools and resources. Companies from various industries are adding mCommerce applications into the mobile mix, thus creating new revenue streams. mCommerce includes all digital content, goods and services purchased and delivered on the mobile device, as well as any tangible products purchased through the handset but physically delivered. 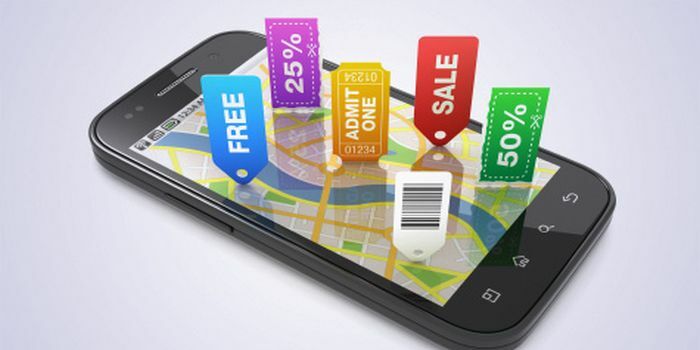 mCommerce supports several channels: Applications and mobile storefronts are cited most often, but premium SMS also plays a significant role, as well as mobile coupons, mobile-enabled loyalty programs, location-based offers and mobile gift cards. All these options move consumers toward making purchases in-store. Mobile shopping, offers consumers the chance to buy something that is catered on a mobile device and perhaps most importantly, reduces the amount of clicks it takes to finalize the purchase. This is particularly important in the context of mobile web browsers, where cutting back on content and minimizing the number of clicks is vital to keeping shoppers engaged. Mobile apps are like neighborhood produce store. For shoppers looking for a richer, more advanced interface, applications typically win out over the mobile web because they are designed specifically for that handset’s hardware and operating system. The mobile web is a like a huge shopping mall with seemingly limitless stores and tons of options all under one giant roof. It’s not as constricted or fragmented as shopping on disparate mobile apps but the experience isn’t as tailored as the specialty store. This is the terminology used for making the transaction in m-Commerce is known as m-payment (mobile payment). When through a mobile device a point-of-sale payment is made, devices being cellular telephone, a smartphone, or a personal digital assistant (PDA). Using m-payment, a person with a wireless device could pay for items in a store or settle a restaurant bill without interacting with any staff member. The patron would simply connect to the cash register with a wireless device, punch in the table number and bank personal identification number (PIN), and authorize payment. Technologies being used are Bluetooth, WiFi, and RFID, a short-range transmission system. Public key infrastructure (PKI) encryption – considered to be necessary for secure m-commerce in general, these are presently been embedded with digital wireless networks and devices. A trend that is likely to increase consumer confidence in m-payment’s security. • Mobile storefront modules are an integral part of m-commerce apps, where all commodities and services are categorized and compiled in catalogs for customers to easily browse through the items on sale and get essential information about the products. • Mobile ticketing module is an m-commerce app component that is closely linked to promotional side of commercial business and enables vendors to attract customers by distributing vouchers, coupons and tickets. • Mobile advertising and marketing module empowers merchants to leverage m-commerce channels in order to manage its direct marketing campaigns, which are reported to be very effective especially when targeted at younger representatives of digital information consumers. • Mobile customer support and information module is a point of reference for information about a particular retailer, its offerings and deals. The news about the company, current discounts, shop locations and other information is either pushed to users’ m-commerce apps or can be found in m-commerce app itself. • Mobile banking is inextricably linked to selling process via m-commerce apps, because no purchase can be finalized without a payment. There are various options for executing mobile payments, among which are direct mobile billing, payments via sms, credit card payments through a familiar mobile web interface, and payments at physical POS terminals with NFC technology. Ranosys Technologies have worked and has been a part a number of eCommerce projects that are functional. Ranosys Technologies keenly engages in exploring and creating such m-commerce solutions that complements existing e-commerce solutions and conventional shopping practices. The Development team at Ranosys Technologies strives to create m-commerce experience as convenient and trouble-free as possible, and at the same time making them so as to boost sales and offer the market share to the vendor. Hence, Ranosys Technologies makes it a compulsion to develop m-commerce app with full-fledged functionality with a holistic approach.